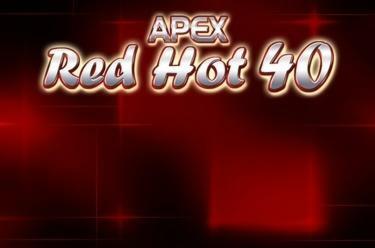 Play Red Hot 40 online for free now! Straightforward gameplay, easygoing features and plain spin action – in other words: back to basics! 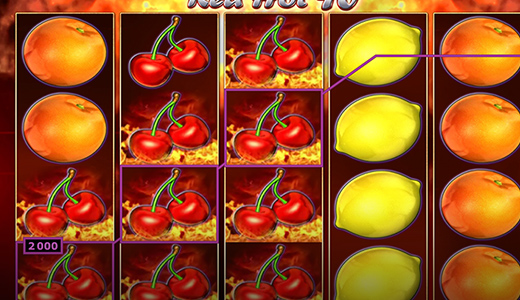 Red Hot 40 is all about keeping it simple and focussing on the fundamentals: fun and winnings. Find out for yourself on 5 reels and 40 fixed win lines! 5 identical adjacent symbols landing on one of the win lines running from left to right will shower your account with Twists. Please note: At least one winning symbol in a combo has to appear on reel 1. Therefore, symbol combos beginning on reels 2, 3, 4 or 5 don't count. The 7 is especially valuable in this game. It acts as Wild symbol and can substitute for any other symbol (except for Scatter) to complete winning combos. Winning combos with Stars (Scatter) generate many Twists for you regardless of their position on the reels and will also be added to line wins. Red Hot 40: its simplicity makes it an instant classic with many players!